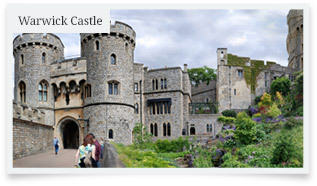 Many of our clients have special interests they want to pursue – particular types of places, or periods in history etc. We can use our knowledge and expertise to help you research special people, places and times, and plan your own special tour. 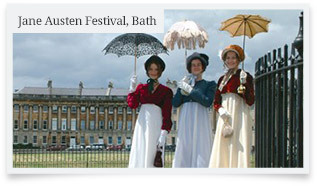 Jane Austen in Bath and Hampshire. William Golding and George Herbert in Salisbury. The Wordsworths and Coleridge in Somerset. Charles Kingsley and Henry Williamson in North Devon. Thomas Gainsborough and Thomas Lawrence in Bath. Laurence and Rex Whistler in Wiltshire. Barbara Hepworth, Ben Nicholson and the St. Ives School. Isambard Kingdom Brunel in Bristol. Mary Anning in Lyme Regis. Salisbury Plain; Marlborough Downs; Uffington White Horse. Jurassic Coast WHS; Cotswolds; Mendips; Somerset Levels. Windsor; Cardiff; Warwick; Caerphilly; Chepstow; Goodrich; Raglan. 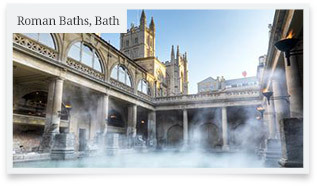 Roman Baths at Bath; Corinium Museum Cirencester; Chedworth Roman Villa. Blaenavon WHS; Ironbridge Gorge WHS; Cornish Tin Mining WHS; works of Isambard Kingdom Brunel. The Tank Museum, Bovington, Dorset; Fleet Air Arm Museum, Yeovilton, Somerset.